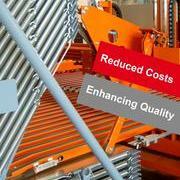 SYSTRAPLAN will present material flow and storage technology at LIGNA using the latest 360-degree film technology. LIGNA-Visitors have the opportunity to completely immerse themselves in a virtual world and view SYSTRAPLANs’ solutions from unknown perspectives from 27th to 31st May 2019. 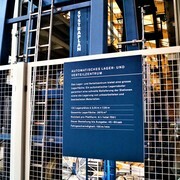 Schötz (Switzerland) Here is the storage system of Systraplan placed in the middle of the production of the Renggli AG. Renggli is a well-known name in the Swiss construction industry and continues to be on the road to success. This is mainly possible due to the modern production facilities. 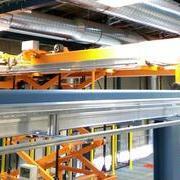 "The key here is the intelligent and efficient material flow achieved by the SYSTRAPLAN storage system," reports René Maurer, member of the management board. 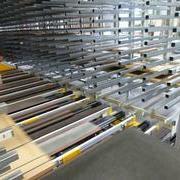 The shipping of ready-made worktops at Westag & Getalit is organized by SYSTRAPLAN’s sorting system. ck. The increasing diversity of parts in line with order-related batch size 1 production makes it necessary to optimize the material flow in the furniture and supplier industry. This especially applies for the last process station - the dispatch. 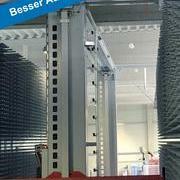 Only recently, Westag & Getalit had a sorting system in Wadersloh installed. 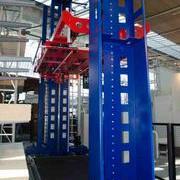 This was manufactured by SYSTRAPLAN for optimum processes and maximum efficiency. 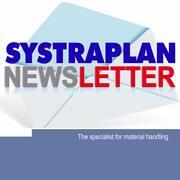 With our newsletter you will receive the latest information about Systraplan directly via email. Simply enter your Email, unsubscribing is possible at any time.